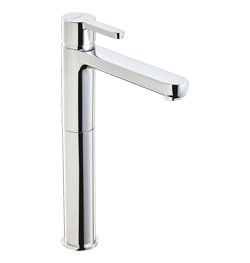 Beschreibung Sink one-hole mixer tap with &quot;clic-clac&quot; drainage - deck-mounted model with thin lever. Fixed cast spout with 170.5 mm projection. Spout height: 252 mm.